The Secret Garden has always been a favourite film of mine. It is sad and sweet and beautiful. A young girl is sent from India to an isolated manor in the United Kingdom after her parents are killed in an earthquake. As she explores this seemingly desolate place she discovers two young boys and the keys to a secret garden. Young Dickon teaches her about the nature around them and together they give a new life to the dilapidated garden, in turn introducing it to the sickly young Colin. The process of rebuilding and then enjoying the garden breathes life back into those who had been suffering. 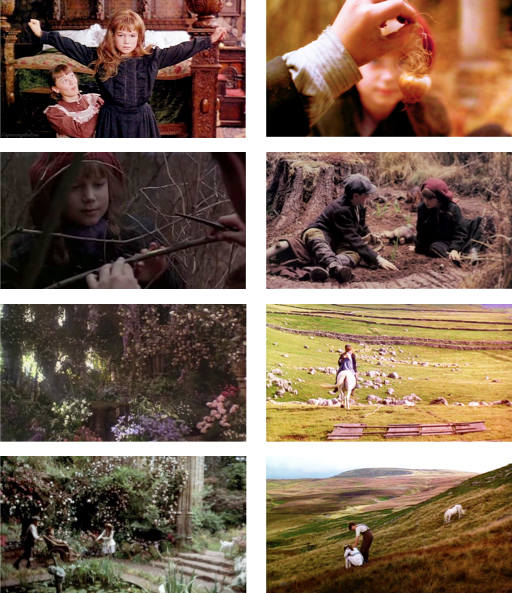 All photographs from The Secret Garden (1993).